Proudly serving clients for over 35 years. Chuck's exceptional service to his clients is firmly rooted in four principal cornerstones: Integrity, Experience, Respect & Reliability. Charles F. Walker, CFP® of Cornerstone Financial Planners has been awarded the Accredited Investment Fiduciary® (AIF®) designation from the center for Fiduciary Studies®, the standard-setting body for Fi360. The AIF designation signifies the ability to perform fiduciary assessments measuring how well investment fiduciaries are fulfilling their duties to a defined standard of care. The designation is the culmination of a rigorous training program, which includes a comprehensive, closed-book examination under the supervision of a proctor, and agreement to abide by the Code of Ethics and Conduct Standards. On an ongoing basis, completion of continuing education and adherence to the Code of Ethics and Conduct Standards are required to maintain the AIF designation. 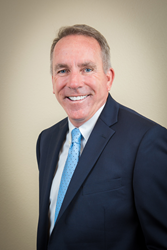 Chuck Walker, a resident of Palm Harbor, FL is President of Cornerstone Financial Planners in Trinity. Chuck specializes in Financial Planning and Wealth Management for individuals and small business owners. Chuck’s key differentiator is the working partnership he forms with his clients aimed at attaining a Return On Life – achieving the best life possible with their money and assets. As a Certified Financial Planner™ and licensed financial advisor, Chuck has been proudly serving his clients for over 35 years throughout greater Tampa Bay and nationwide. His methodology and standards of exceptional service to his clients is firmly rooted in four principal cornerstones: Integrity, Experience, Respect & Reliability. Fi360, based in Pittsburgh, Pa., is the first full-time training and research facility for fiduciaries, and conducts training programs throughout the United States and abroad. The Center for Fiduciary Studies confers the AIF designation as well as the Accredited Investment Fiduciary Analys® (AIFA®) and Professional Plan Consultant® (PPC®) designations. Securities are by licensed individuals offered through Investacorp, Inc., a Registered Broker/Dealer, Member FINRA and SIPC.